Wanna join the bunny cult? 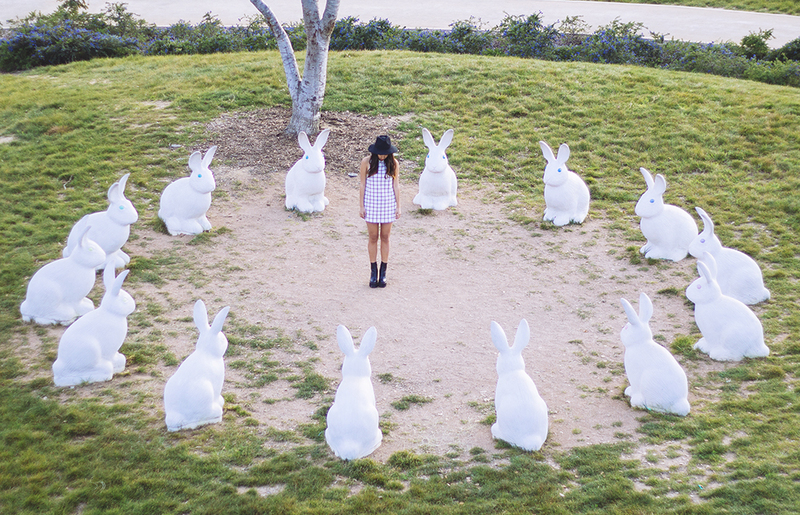 Gathered at a bunny cult meeting wearing a grid tunic from Urban Outfitters. I've always loved 60s mod and the silhouette of this dress is perfect especially if you're petite like me! This dress has also been my go to dress because of the minimal, easy to wear black and white grid pattern. I wore bold red lips to add some color into the look. Omgosh, that first snap haha! Such a simple but sweet dress.